FORMER Anglo Irish Bank CEO David Drumm told colleagues weeks after the bailout out that a team of executives should be put together with “war cabinet urgency” to tackle the issues facing the troubled bank. Mr Drumm e-mailed bankers in November 2008 telling them the issues Anglo faced included an audit and future funding. The e-mail was shown to the jury as Anglo’s then Chief Financial Officer Matt Moran gave evidence for a second day at Mr Drumm’s trial. 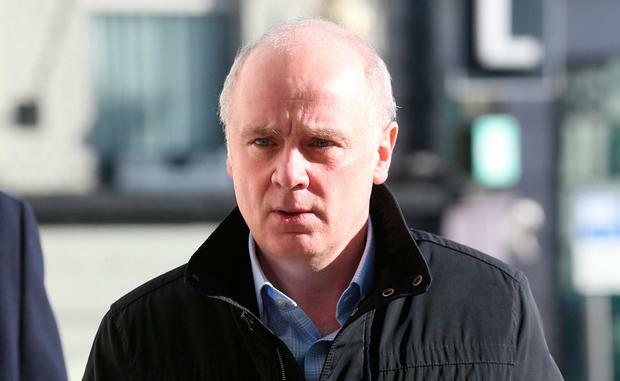 Mr Drumm (51) is pleading not guilty to conspiring to defraud Anglo investors by dishonestly creating the impression that the bank’s customer deposits in September 2008 were €7.2bn larger than they were. The case centres on a series of multi-billion euro interbank loans which circulated between Anglo and Irish Life and Permanent ILP. Today, the jury at Dublin Circuit Criminal Court was shown an e-mail Mr Drumm sent to bank officials on November 12, 2008. “Guys, just spoke with Matt (Moran) today and he’s rightly pressing that we need to get a larger group around the table immediately to manage the key issues we are currently facing, including YE audit, ratings agencies action, funding plan going forward, capital,” the email stated. Earlier the jury heard Mr Drumm had mailed executives before the bailout in September asking them to “look under every rock” to reduce lending as the 2008 financial crisis deepened. Mr Drumm e-mailed Mr Moran and others on September 10, 2008, in the run up to Anglo’s financial year end on September 30. “Massive push needed, guys, look under every rock, this is crunch time for us, thanks,” the email read. The court heard Mr Moran had replied to the mail with projections for the loan balance to be down from €10.6 to €10.3bn. This was the effort by the bank to reduce the net loan growth, Mr Moran told Mary Rose Gearty SC, prosecuting. Finance was asked to run ongoing forecasts. Ms Gearty asked what he thought a “massive push” referred to. “I take that as relating to the lending and reducing the level of lending,” Mr Moran said. Ms Gearty then asked him what he believed looking “under every rock” to refer to. “My interpretation is that was, just look at all the options to make sure that the level of lending can managed to a minimum,” he said. Ms Gearty asked if it could refer to funding. The court also heard there were meetings held in David Dumm’s office on Friday afternoons from August to early September 2008. They were attended by a wide group of of people looking at funding and lending. There would be meetings of the executive directors beforehand - Mr Drumm, Willie McAteer, Pat Whelan and Declan Quilligan. There were also and other meetings looking at the various balance sheet initiatives, which reported to the Friday meetings. Mr Drumm chaired the Friday meetings which were usually attended by Anglo bankers including Mr Quilligan, Mr Whelan, Mr McAteer, Tony Campbell, John Bowe, Peter Fitzpatrick, Martina Whelan, Matt Cullen, Ciaran McArdle and Brian Lynch. The meetings considered a wide range of funding initiatives in respect of contacts with corporate depositors, asset managers, capital transactions, short term trades that would enhance the capital position at the year end, and Repo transactions, Mr Moran said. Mr Drumm chaired the meetings and “various participants contributed,” he continued. Ms Gearty asked Mr Moran what his view was of Mr Drumm’s financial acumen, and what he contributed to the meetings. “He was the Chief Executive,” Mr Moran said. Ms Gearty asked what Mr Drumm “had to offer” with regard to contributions to meetings. “David was a very experienced person in the bank, a very experienced lender in the bank,” Mr Moran said. “He had run the business in the US, he had run the business in Ireland, he chaired and drove those meetings,” he said. Earlier, the court heard Mr Moran had quoted Mike Nurse, head of treasury risk, as saying the motivation for a June 2008 transaction with ILP was to reduce ILP’s reliance on European Central Bank funding and position Anglo for future arrangements. The jury was shown a balance sheet report from April 2008 that showed a reduction in customer deposits of €6.4bn, which was due to the maturing of half year end trades. This contained a draft response to a letter from Mary Elizabeth Donoghue, an IFSRA regulatory officer. Mr Moran told the jury this was looking at behavioural modelling in respect of liquidity. Behaviour modelling reflected what would happen in everyday business and was used to anticipate how money would move in the future based on past movements, he explained. Ms Donoghue queried whether large short-term movements should be incorporated into the wider behavioural modelling. The response to the request was that it would be inappropriate to incorporate the short term movements into the behavioural modelling because the movements were significant but only at the half-year end, Mr Moran said. The jury was then shown a June 23, 2008 letter from The Irish Auditing and Accounting Supervisory Authority to Anglo asking for additional information on loans and advances to banks after the March interim report was filed. Mr Moran did not receive this but believed it included some of the March initiative transactions. Mr Drumm responded that while the movements might appear large, they “considered to be normal in the course of the bank’s business activities” and were “not considered to be unusual for a lending bank” with assets of €100bn. Mr Moran said he believed this referred to changes between September 30, 2007 and March 31, 2008. Mr Drumm told IAASA that the board was “very cognisant of its reporting obligations” and endeavoured to ensure transparency of reporting. In the directors’ opinion, this approach had resulted in a comprehensive interim report, Mr Drumm wrote on July 21, 2008. “All information and explanations that were significant to an understanding of the changes in the financial position and performance of the bank were provided,” he said. On July 25, the IAASA wrote that it would be useful to include an explanation of events and transactions and asked the directors to confirm that future half-yearly reports would include explanatory balance sheet notes. Mr Drumm replied confirming future interim reports would include explanatory notes where necessary or material to an understanding of the period. In 2009 a new board undertook a review and concluded that they were satisfied with the disclosures put out at the time, Mr Moran agreed. Later in the afternoon, Ms Gearty asked Mr Moran when he first became aware of the size of the €7.2bn transaction. “I was in David Drumm’s office on the afternoon or the evening of September 30 when John Bowe arrived and informed me at the time of the size of the transaction,” Mr Moran said. Ms Geary asked what his reaction was. “It was larger than I thought or had been aware was going to be done,” Mr Moran said. Ms Gearty asked if it caused him to query in any way if there was a potential problem in processing the transaction. Mr Moran said it did not and he did not know anything at the time about any issues in processing a payment, but Mr Bowe mentioned that the Government guarantee that had come into place had given ILP “comfort” and hence the amount was increased to €7.2bn. Ms Gearty asked Mr Moran if he had any awareness of the capacity of Anglo to conduct a transaction of that size. Mr Moran said there were significant inflows that day because of the guarantee. He was not aware of the capacity or mechanics of it until some time in early 2009, when it was questioned whether the monies were available to enact such a transaction. Ms Gearty asked if anything else was said in the office on September 30. “I think John Bowe said something to the effect that you should ring ILP, you should ring Denis Casey (ILP’s CEO) to thank him,” Mr Moran said. Ms Gearty asked if Mr Drumm had said anything. “Something to the effect that John had done well in terms of the capacity or size of the transaction that was done,” Mr Moran said. Mr Moran had not questioned at the time the mechanics of the transaction and had been aware of their back-to back-nature but not their circularity. In a “look back” in 2009, it was seen that there had been a number of transactions to reach the €7.2bn. The March transactions had involved the placement of bonds with the Central Bank and Anglo getting cash back, while the September transactions were cash being placed and the same amount placed back, Mr Moran said. He agreed that customer deposits as opposed to bank deposits were an indicator of the health of a bank, as was the loan to deposit ratio. The €7.2bn would reduce this ratio, which would be seen as more positive, Mr Moran said. Ms Gearty said Mr Moran had stated there was no attempt to hide the the nature of the ILP initiative at the bank’s meetings. “It was openly discussed,” he agreed. If the deal had not gone through, although the banks guarantee had taken the focus off funding, “the balance sheet may have been seen more negatively at the year end,” Mr Moran said. Before the Sept 30 meeting, Mr Moran had understood the figure of the transactions to be less than €7bn but above €3bn. A week earlier, he had had a concern that the transactions were discussed with the Financial Regulator but said he got reassurance from both Mr Drumm and Mr McAteer after they had met with IFSRA officials in the last week of September. “David said that Willie had discussed it with Patrick Neary and Con Horan in their meeting with the Regulator and something along the lines that they would be managing the balance sheet,” Mr Moran said. “Did you personally ask Mr McAteer about this?” Ms Gearty asked. Mr Moran said he did and the response was “something along the lines of ‘fair play to you, Willie’”. The jury heard Anglo made a request for emergency funding to the Central Bank on September 29, the day before the Government’s banks guarantee was announced. David Drumm dictated the letter requesting “emergency liquidity assistance” and Mr Moran typed it. In the letter, Mr Drumm said he was writing to confirm that in order to meet its financial commitments the following day, Anglo was obliged to apply for an overnight facility of €4bn against the security of assets set out. “The auditors were knowledgeable of the transactions that took place, they didn’t capture it as an issue opf concern in their own report to the audit committee,” Mr Moran said.